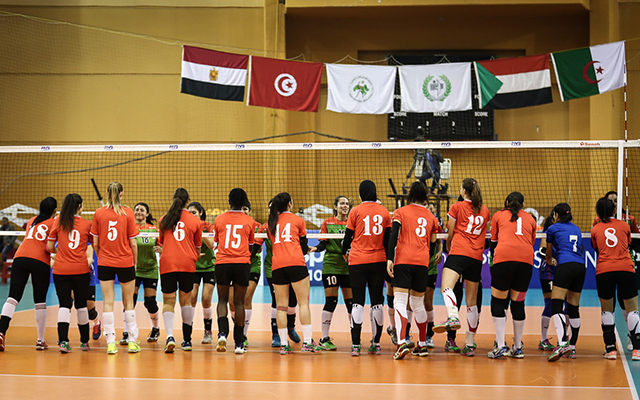 The 2017 Women’s Volleyball Championship for Arab Clubs has celebrated Egypt the winner of the competitions which concluded its events on 22 December 2017 at the Cairo International Stadium. Five clubs from four Arab countries competed: Egypt’s Al-Ahly, Egypt’s Alexandria Sporting Club (ASC), Tunisia’s Club Sportif Sfaxien (CSS), Algeria’s GS Pétroliers (GSP), and Sudan’s Youth 20 Press. 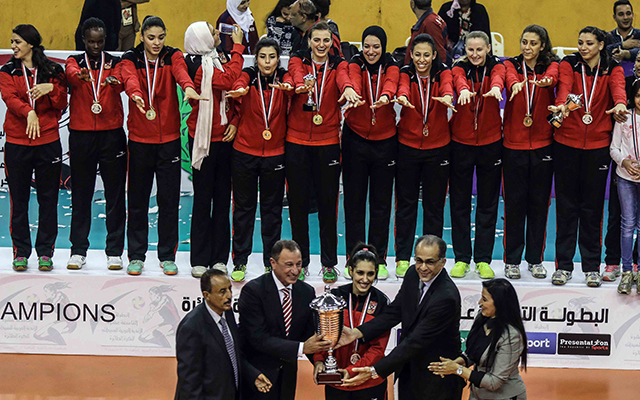 According to the points acquired by each team, Al-Ahly sealed the championship and the runner-up was Tunisia’s CSS. In the third place came Algeria’s GSP while the fourth place went for Egypt’s ASC. 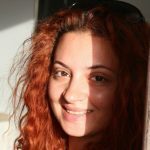 Commenting on the results, Yara Fawzi, head of the volunteers’ committee at the Egyptian Ministry of Youth Affairs and Sports, told Egyptian Streets “Al-Ahly did not lose any match and it was the team with the best performance. On the other hand, Sudan’s Youth 20 Press was the team with the poorest performance”. Al-Ahly’s Aya Hamdy El-Shamy was awarded the title of “The Championship’s Best Player”.